Vardenafil hydrochloride trihydrate is a piperazine derivative, PHOSPHODIESTERASE 5 INHIBITOR and VASODILATOR AGENT that is used as a UROLOGICAL AGENT in the treatment of ERECTILE DYSFUNCTION. Enoximone is a selective phosphodiesterase III (PDE3) inhibitor. BRL-50481 is a novel and selective inhibitor of PDE7 with IC50s of 0.15, 12.1, 62 and 490 μM for PDE7A, PDE7B, PDE4 and PDE3, respectively. Denaverine acts as a phosphodiesterase inhibitor. 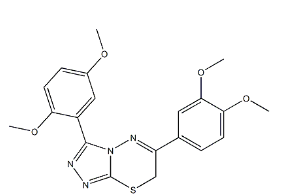 ML-030 is a potent PDE4 inhibitor, with IC50 of 6.7 nM, 12.9 nM, 48.2 nM, 37.2 nM, 452 nM and 49.2 nM for PDE4A, PDE4A1, PDE4B1, PDE4B2, PDE4C1,and PDE4D2, respectively. BW-A 78U is a PDE4 inhibitor with an IC50 of 3 μM. 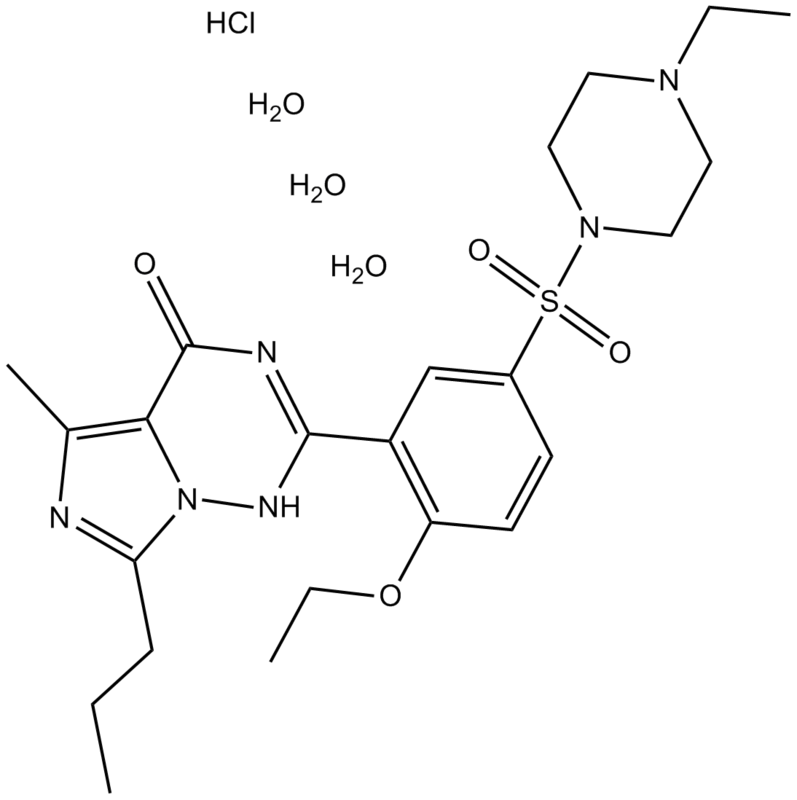 CP-671305 is a potent and selective inhibitor of phosphodiesterase 4.